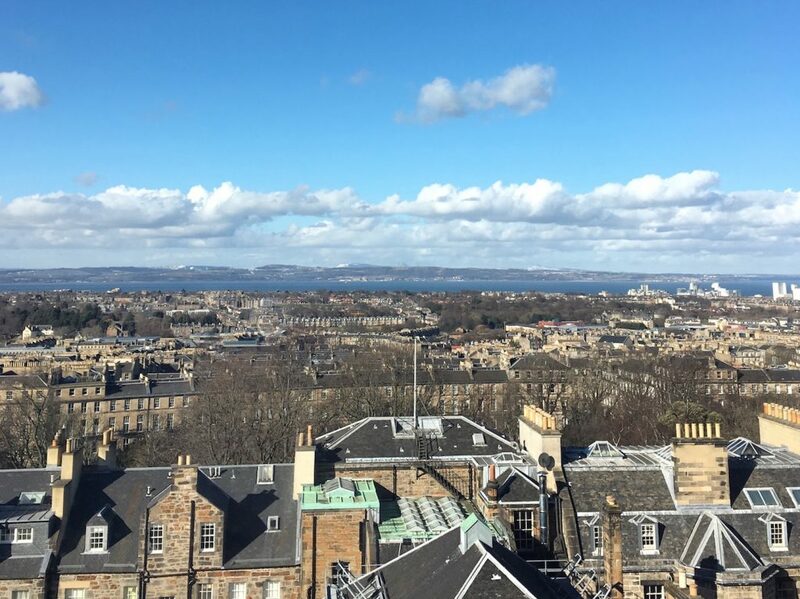 After spending about 24 hour in Glasgow plus a day trip to the Scottish Highlands, I spent two nights in Edinburgh. I’ve listed the things I did during the trip, which can fill up roughly 48 hours, plus a half day trip outside of the city. To me, this was a great intro to Edinburgh, as I plan on visiting again soon to explore deeper. 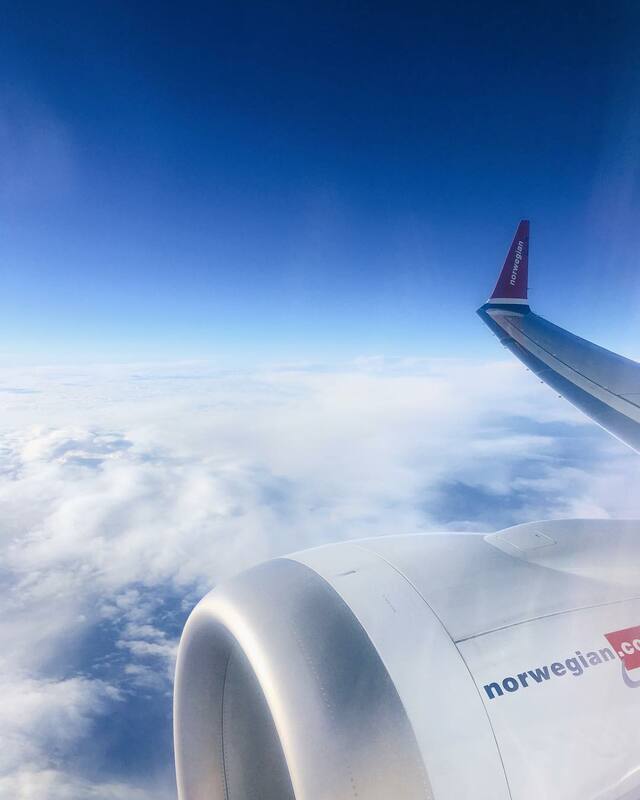 I flew with Norwegian, one of the largest and best low-cost airlines in the world to get to Edinburgh. If you live in the Manhattan area, an option is to take the Stewart Express Bus from Port Authority to Stewart International Airport for a direct flight to Edinburgh. 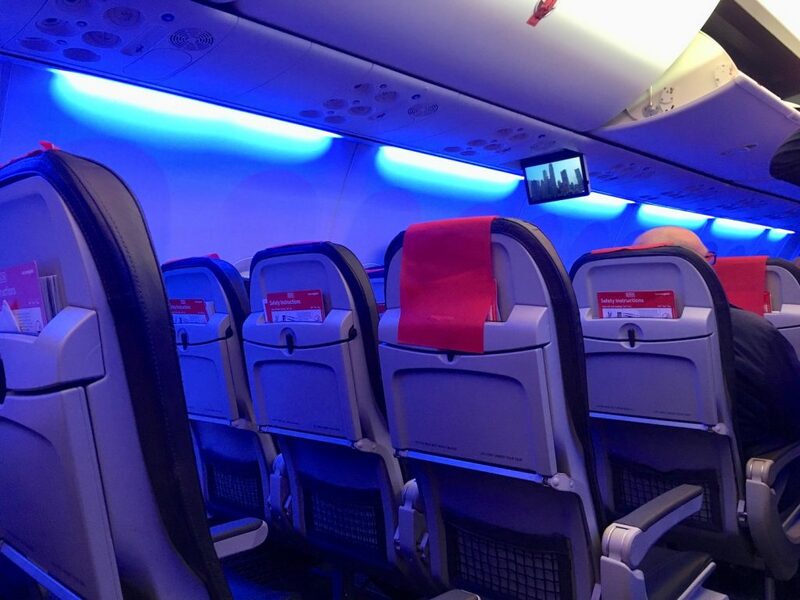 This is especially something to consider if you don’t like the stress that airports can bring. Stewart is a smaller airport than others in the tri-state area and checking in and boarding were a breeze. 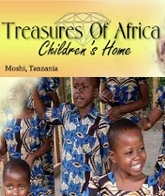 Everyone – staff and travelers – overall seemed happier and less stressed. 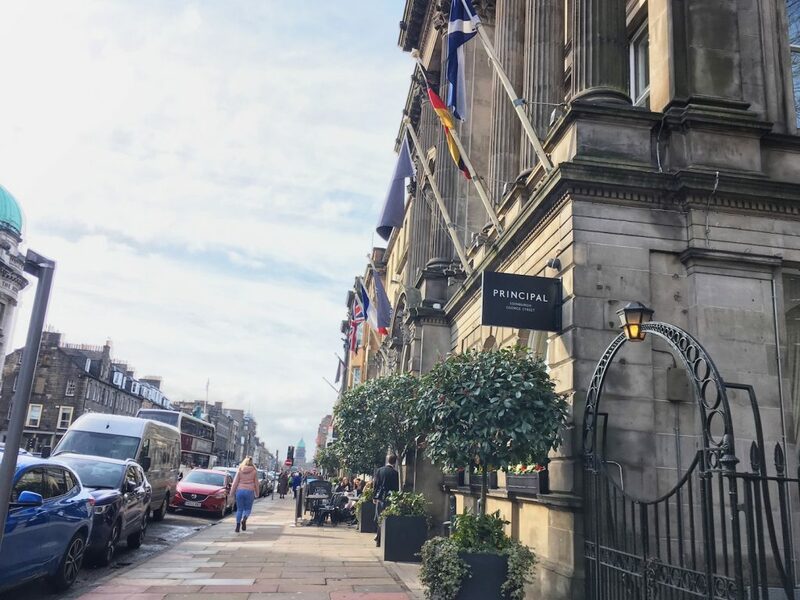 I stayed at The Principal Edinburgh George Street Hotel. One of the factors that makes an enjoyable hotel stay is its location. So one main reason I loved the hotel was its convenient location where I could walk to all the main attractions that I wanted to visit. Within the hotel, there were two things I loved about my room. One is that it had a literary theme. 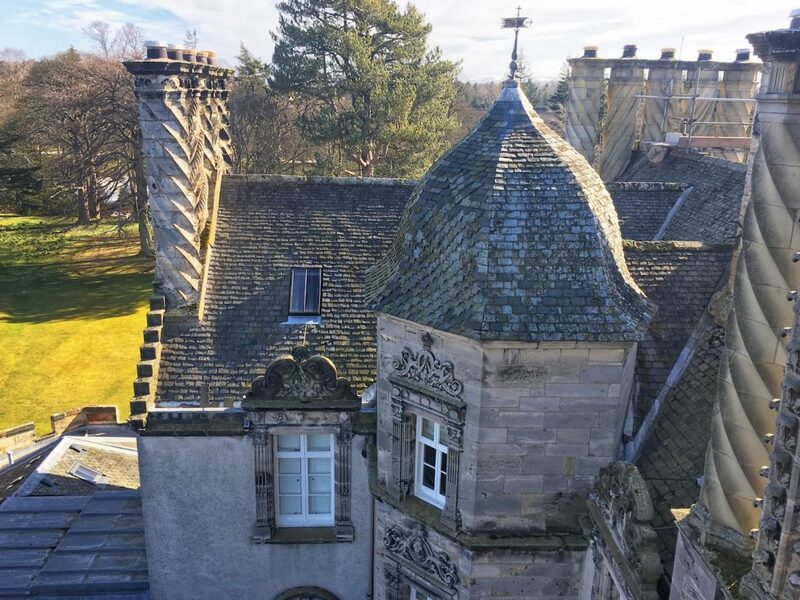 There were copies of Waverly by Scottish writer Sir Walter Scott (who wrote Ivanhoe) on the window ledge and pages from the book framed in the bathroom. Also, my room on the top floor had this amazing view. Upon arrival to the hotel in the afternoon, I had lunch at the hotel’s restaurant. 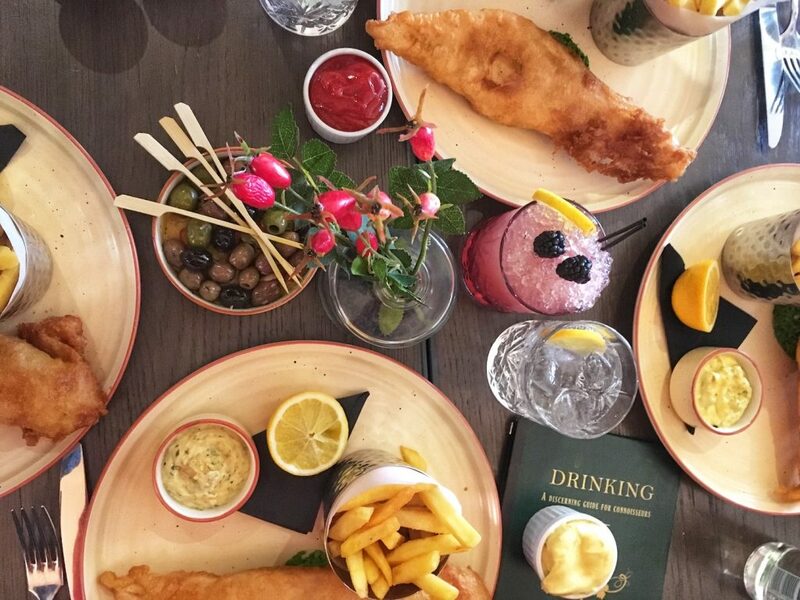 I had craft ale-battered fish and chips and a bramble cocktail. 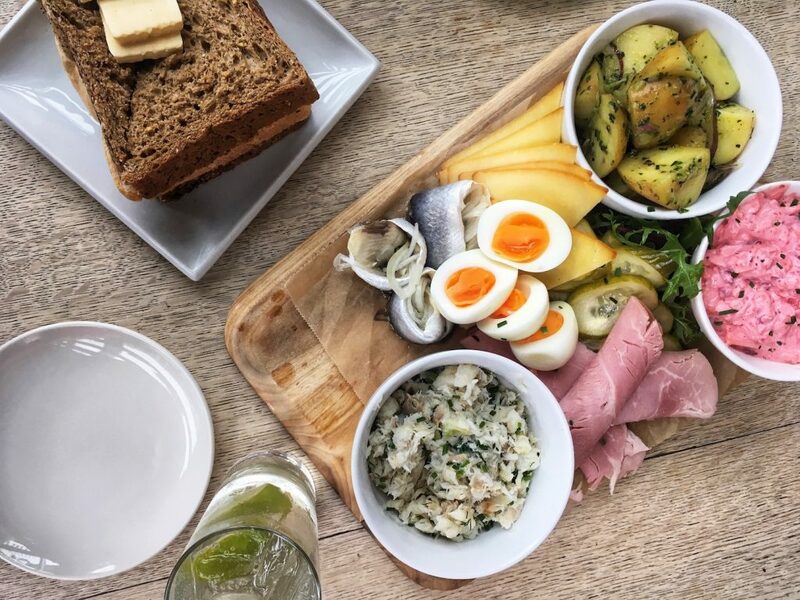 On the following day, I took a food tour with Eat Walk Edinburgh. The tour starts at around 10 am and ends at around 1 pm. You’re eating during the entire tour, so this is a great option instead of having lunch in one location. 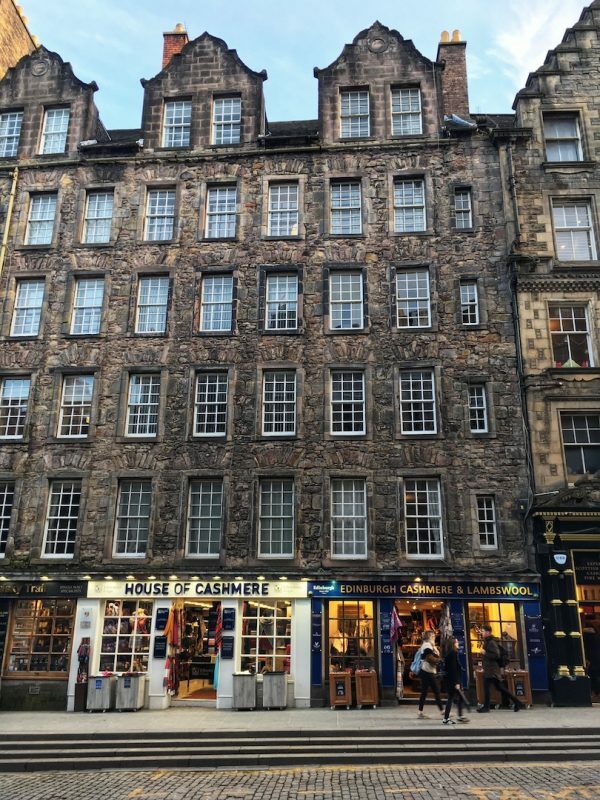 This tour allowed me to explore eating locations in the lower half of the Royal Mile. This is a restaurant and brew school, where you can learn how to brew your own pint. I was craving a burger and was satisfied with the Beer Kitchen’s Beer Kitchen Burger with a slice of Isle of Mull cheese. On Lady Lawson street, is a restaurant sort of hidden in a warehouse. I walked by several times before finding the restaurant’s red shed like doors. I love the interior with wooden tables and mostly lit by candles. You pick what you want to eat by the number of courses. 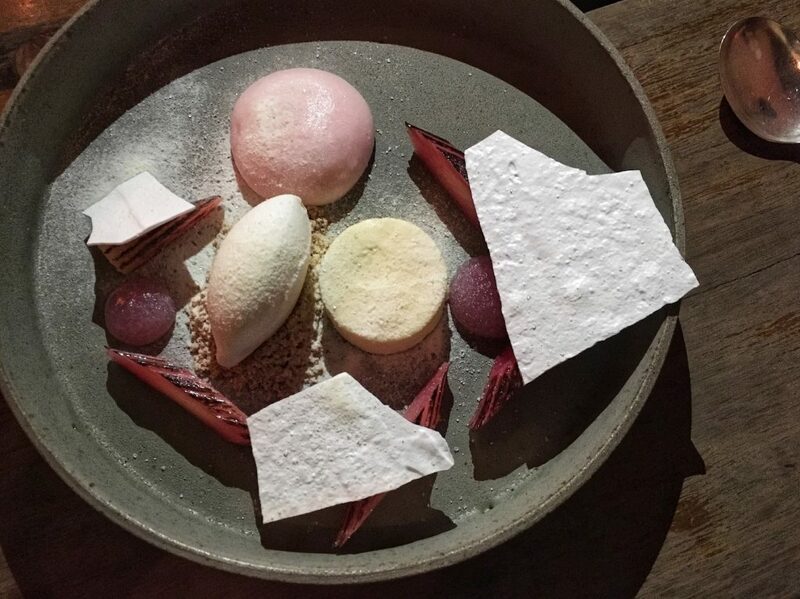 To get an idea of what the food is like, above is the dessert – rhubarb, yogurt and cream cheese. 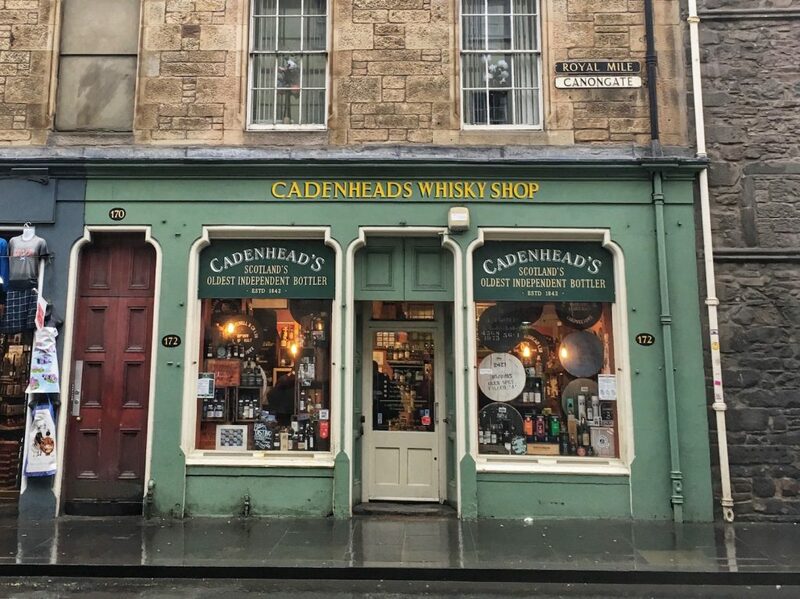 One of the popular attractions right near the Edinburgh Castle is the Scotch Whisky Experience, where you can learn all about Scotch whisky. 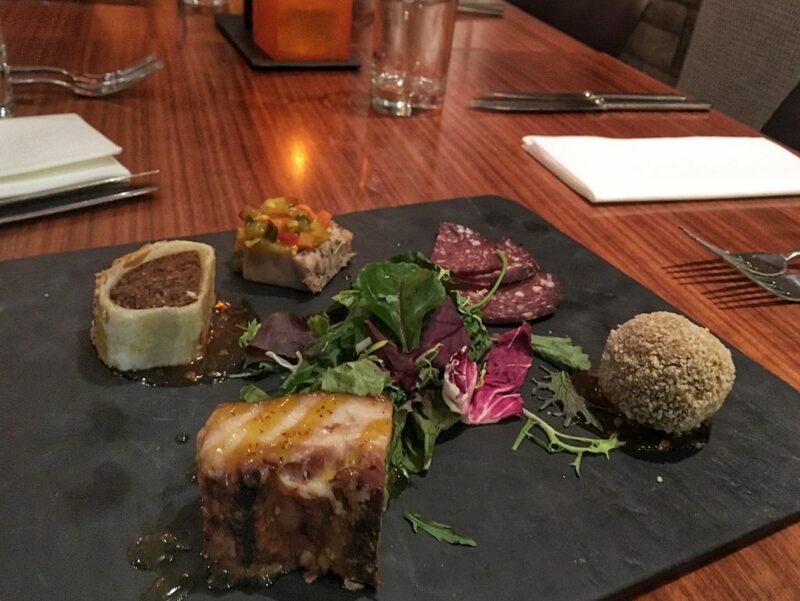 One of the tours offered is The Taste of Scotland tour, which includes a tasting menu at the Amber Restaurant, also located at the Scotch Whisky Experience right after doing the tour. If you do the tour in the evening, Amber can be an option for dinner. All of these things I did are within walking distance to the hotel. I walked in the rain and sunshine and enjoyed every minute of it because of the architecture I got to see. Plus I just like walking. 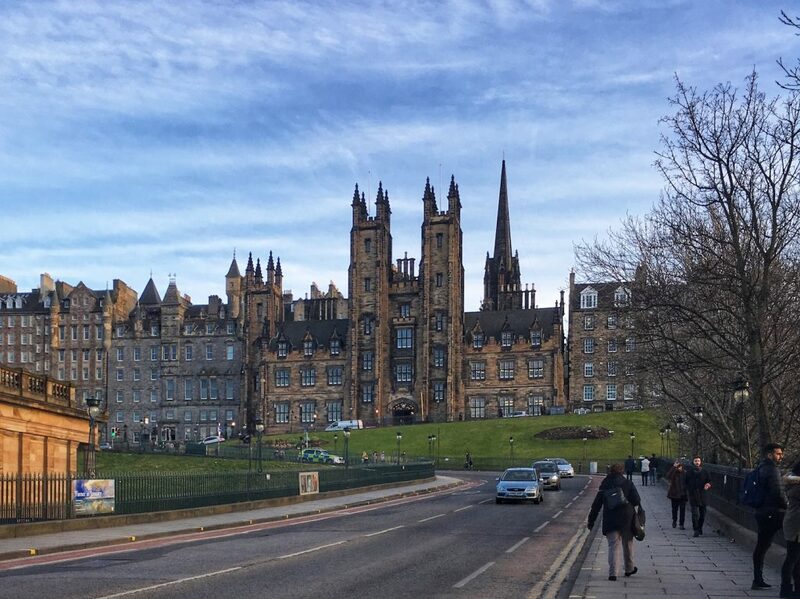 One thing you can’t miss while visiting Edinburgh is walking on the Royal Mile. This is a name for the mile that leads from Edinburgh Castle at the top of the hill to the Palace of Holyroodhouse. 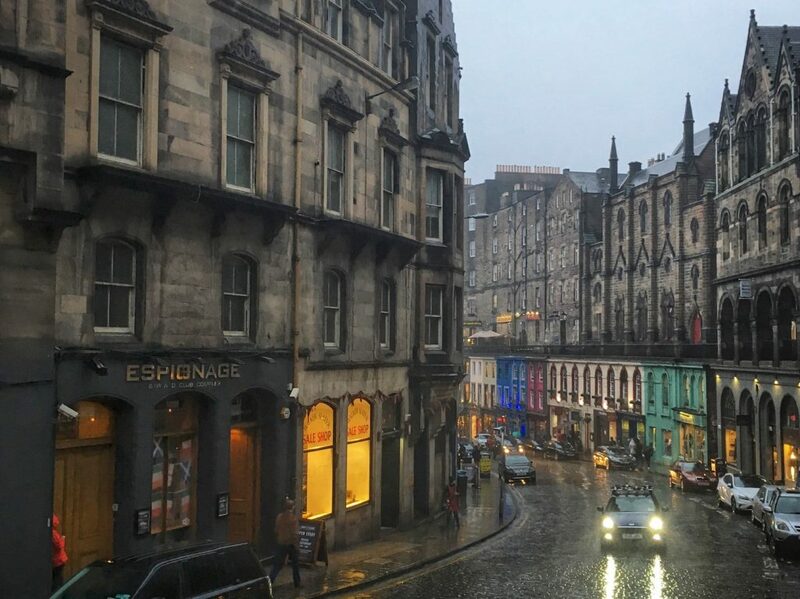 You’ll find several shops, cafes and hotels along the mile. On the Royal Mile is the Fudge House. 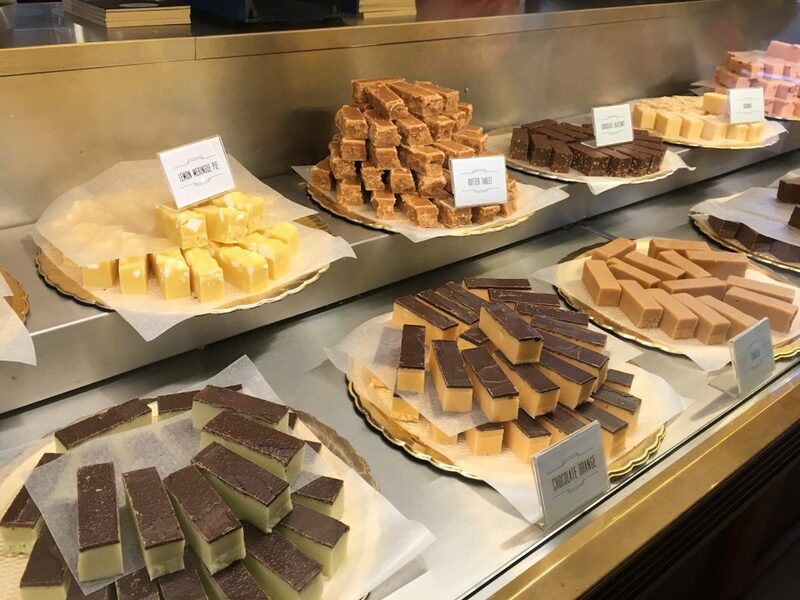 This is a must visit not only for fudge, but for a Scottish treat that I discovered called Scottish tablet. It’s a confection made of mainly sugar and butter. And sugar and butter means that it tastes delicious. Get a slab from the Fudge House to bring home. 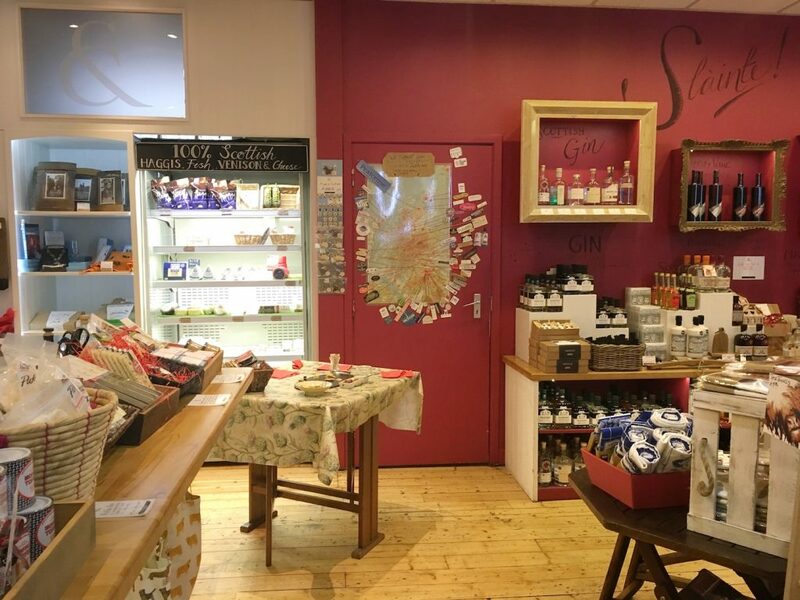 Another store to stop by along the Royal Mile is Cranachan & Crowdie, where you can find a selection of fine foods all made in Scotland. If you want to make sure what you bring home is actually Scottish, get your souvenirs from here. 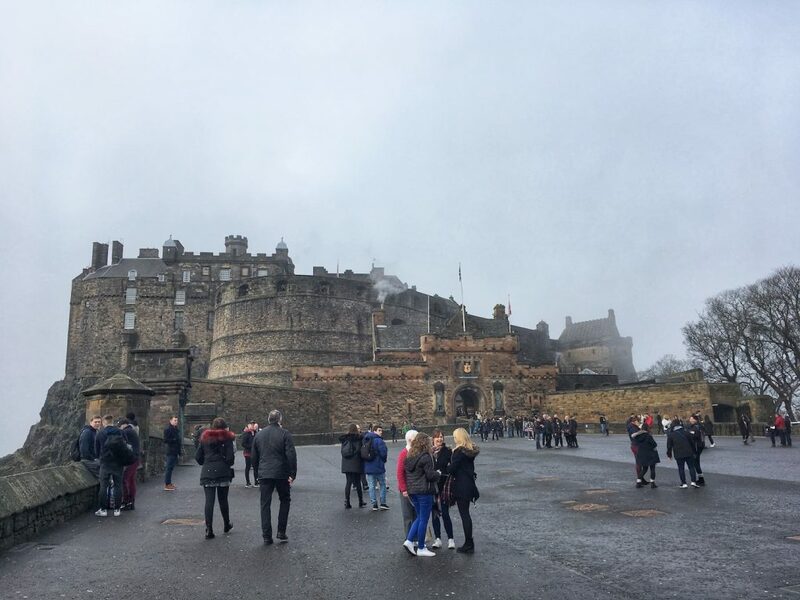 Walking up the Royal Mile will lead you to Edinburgh Castle. You need at least a few hours to walk inside and explore all of the exhibitions. If you’re looking for great views, this is also the spot to be at. 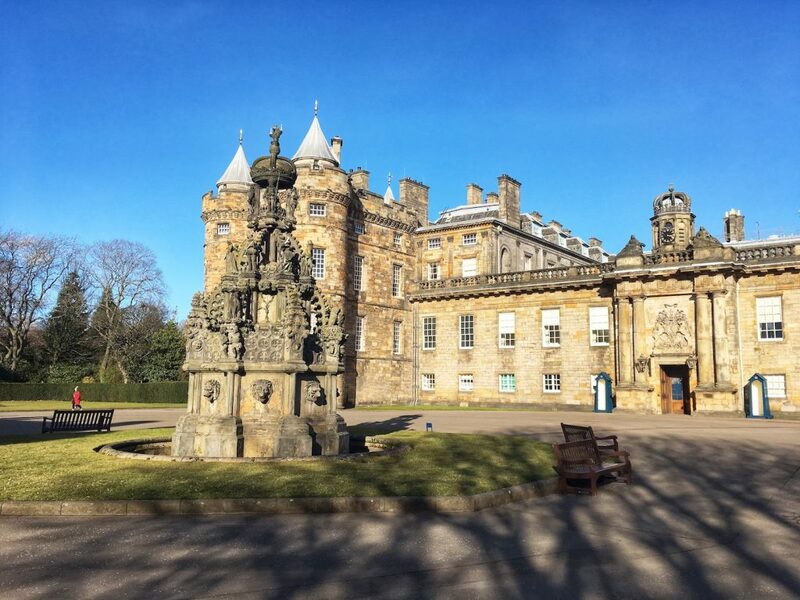 Making your way down from Edinburgh Castle, you’ll reach the Queen’s official residence in Scotland at the Palace of Holyroodhouse. Pictures aren’t allowed inside but you can see and learn about Scottish royal history when in the building. 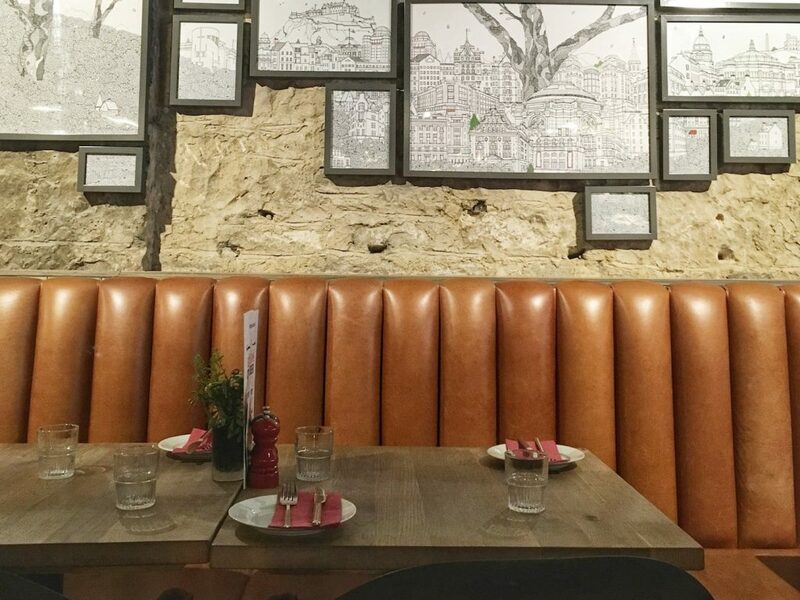 Mentioned above as a replacement for a lunch location, Eat Walk Edinburgh offers two few food tours – the Canongate Brunch Tour (which I did) and the Edinburgh Old & New Town, which is in the afternoons. If you’re pressed for time, this is also a good way to visit some sights and eat. On a rainy day, I figured a museum would be perfect to spend the afternoon. 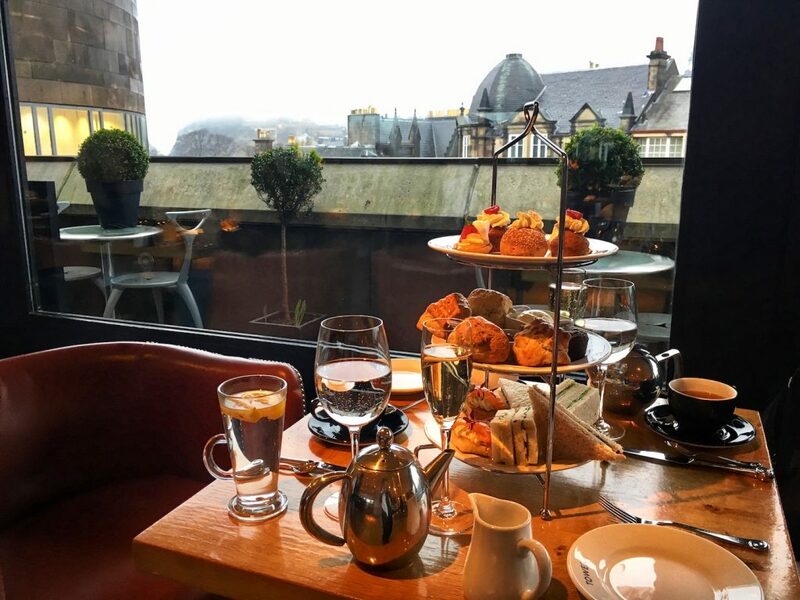 I took shelter at the National Museum of Scotland and also had afternoon tea at The Tower, which is inside the museum. You can read my review of afternoon tea at The Tower Restaurant here. If you follow me on Instagram, you know I’m on a mission to collect all 100 books in the Penguin English Library collection. I haven’t had any luck finding these books in bookstores in my area, but I’ve heard you can find them all over the UK. 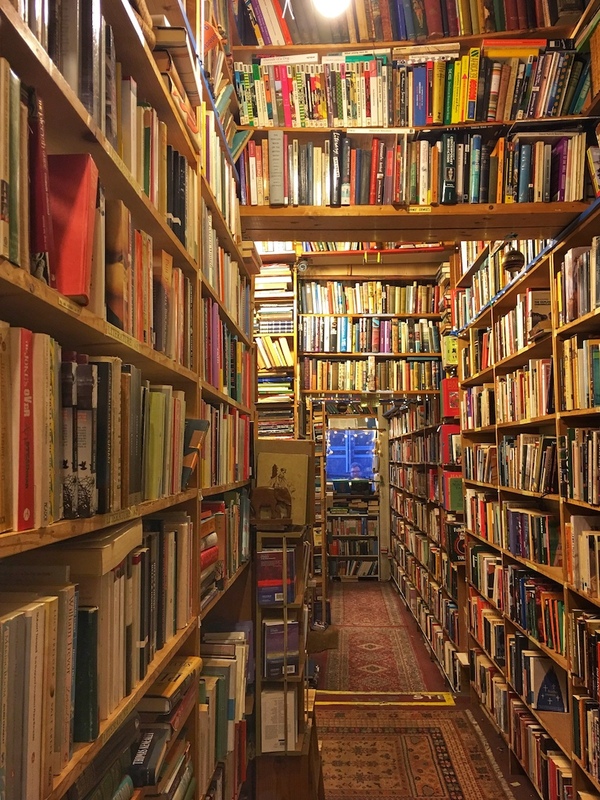 On my search, I went to Armchair Books, a second hand bookshop and found one that I was looking for. One of my favorite things to do is visit cafes, order a cup of tea and pull out a book or my laptop. 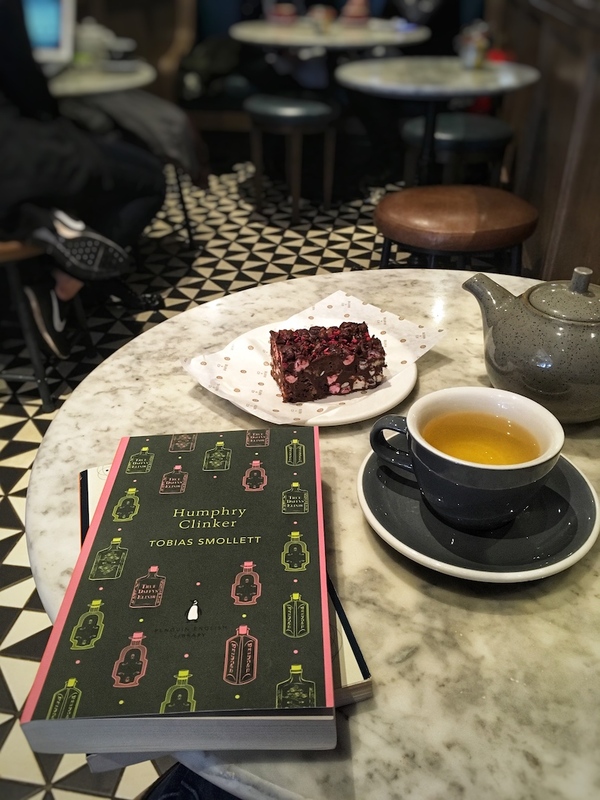 While I didn’t have much time to explore many cafes, one I can recommend is right at the hotel, Burr & Co where I had a pre-flight treat – peppermint tea and a chocolatey rocky road cake. 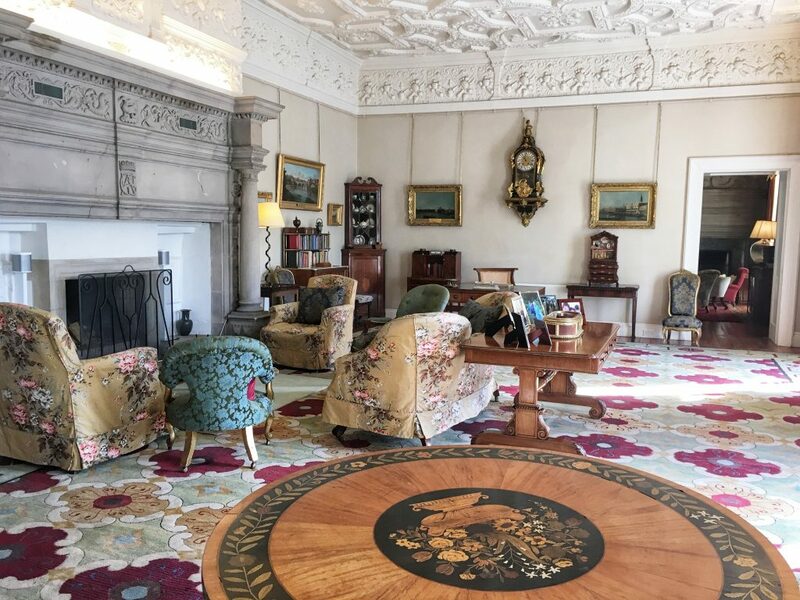 After visiting Glasgow, one of the places I went to before Edinburgh was just about 45 minutes from the hotel – Winton Castle. I got to tour the inside of the castle, which has history dating back to the 1100s. Not many places can claim that. Today, the castle is a family home and also used for events like weddings and corporate events and several activities. One activity that I got to do was falconry. 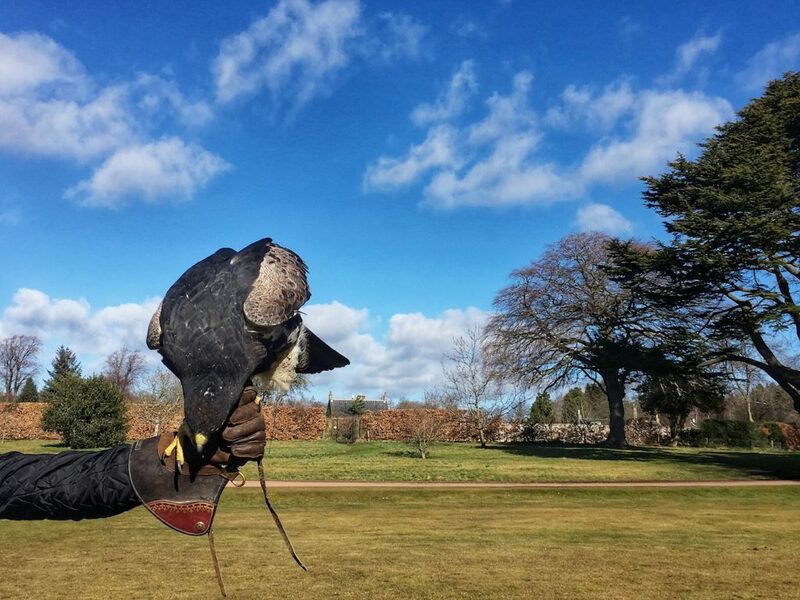 I got to see several birds of prey fly around… and land on my gloved arm! 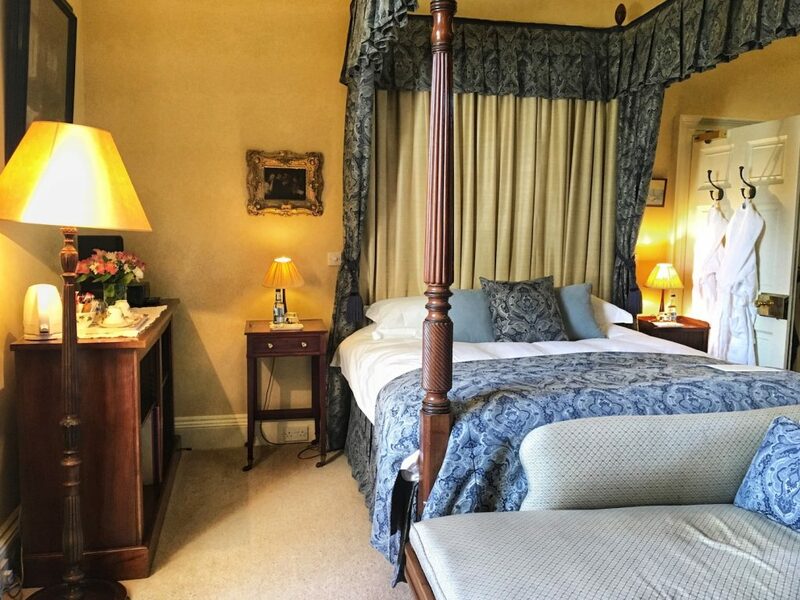 Apart from activities, there’s also the possibility of staying at the estate. Winton has cottages for rent… which looks like a fun place for a family reunion. To learn more about Winton, check out their website. 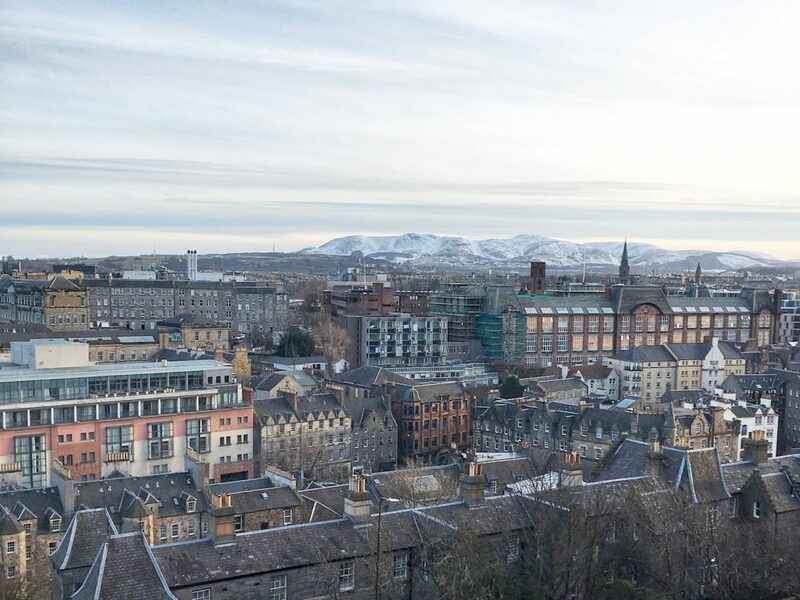 This is how I spent roughly 48 hours in Edinburgh plus a half day trip outside of the city. For more things to do and explore in the UK, check out VisitBritain.